Bernice Ruth Stone passed away at age 91 on August 7th, 2018 surrounded by her loving family and caregivers. She was a lifelong resident of Kansas City ,Ks and graduated from Bishop Ward High School in 1945. She was born April 21st, 1927 to Alvin and Selma (Hansel) Giltner. She met her husband, Donald Stone and married on March 31st, 1948 in Oceanside, CA where he was in the military. 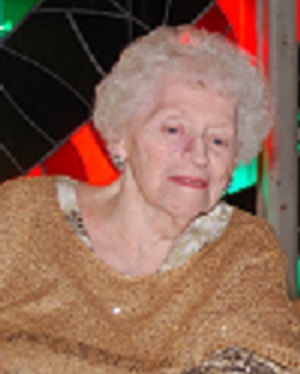 Bernice loved all types of music and worked at Jenkins Music Company for many years. She was a devoted wife, mother and grandmother .She loved music, doing crossword puzzles, reading and watching sports, especially football. She enjoyed decorating her home and entertaining her family. Preceding her death was her husband, Donald of 66 years. She is survived by her children: Debbie Mance (Frank), Karen Janes (Robert) David Stone (Danielle), Stephanie Barry (Bryan) and Donald Stone Jr., and 14 grandchildren and 16 great grandchildren. The family would like to thank Parkway Care and Rehabilitation Center, namely Rose, Dorothy, George, Erica and Angelia, Tonja and several more for the wonderful care given to our Mom. Also, thank you to Asera Care Hospice who provided our Mom such good care on two different occasions.